Sooner or later everybody goes through the process of house moving. Whether it happens with short notice, or you have plenty of time (a planned move out), you would want it to go as smoothly as possible. So, make it easier on yourself with these moving out tips and be completely stress-free when entering your new home in Bournemouth. Start planning the removal process immediately. It would be beneficial to you and your future self. Packing a house and preparing to move out actually takes longer than you might think. Especially if you are working full time and have outside of work activities. Check your calendar for any important occasions – birthday parties or any trips planned a few months ago. If possible, reschedule or cancel whatever you think will be an obstacle. If days off of work will be necessary, make sure to inform your employer on time. When you’re moving out with the help of your friends or family, remind them of the exact date so they can clear their calendars as well. If you are thinking of using one of Bournemouth’s removal companies, book your appointment as early as possible. A lot them offer last-minute moving services, but like everything ordered in the last moment, this will be a little bit more expensive. Decluttering should be done more often, but hey, who has time for it? The fewer items you have to move, the better for your budget. Getting rid of stuff could be done at your new Bournemouth home, of course, but go for this option only if you really have no time to do it beforehand. If however, you do have time, declutter while you’re packing. Why would you pack something, move it and then unpack it just to throw it away? Sort through your clothes and put aside anything you haven’t worn in the last 2 years. Give away, donate or sell. Start clean and fresh at your new place. Also, fewer clothes mean more space in the wardrobe for new ones. Books, magazines, college study papers – again consider a donation to local libraries or schools, or helping the kid next door. Makeup samples and other cosmetics. If you are not even considering using and you’re simply keeping them – give away to a friend who might actually use them or just throw them away. Check your drawers for unnecessary items that will just take up space. If you think anything from there could be put into use — keep it, if not — they’re head up straight to the bin. The best house removals are the once that include properly packed boxes, which are adequately secured for the long trip to Bournemouth. 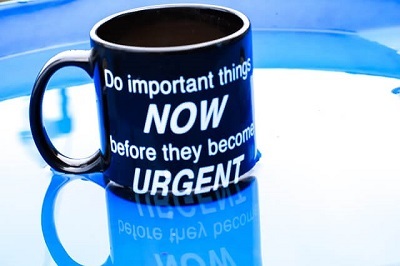 There are a couple of tricks and tips that can help you immensely in this time-consuming process. Pack each room at a time. Start with the place you use the least. Once emptied, use it to store the boxes and the bags from the other rooms. Do not spend on packing containers. Go to your local stores and supermarkets and ask if there are any spare boxes you could borrow. Most places do and want to get rid of them, so by helping yourself, you will assist others as well. Use what you already have and save space. Suitcases, bags, buckets, drawers – they will be moved anyways, so why not utilise them fully? Leave the items in their original place and just fill the gaps with plastic bags or paper. This way nothing will get damaged during the removal process. Put documents or books in the old suitcases, for easy transportation. Clothes instead of bubble wrap. 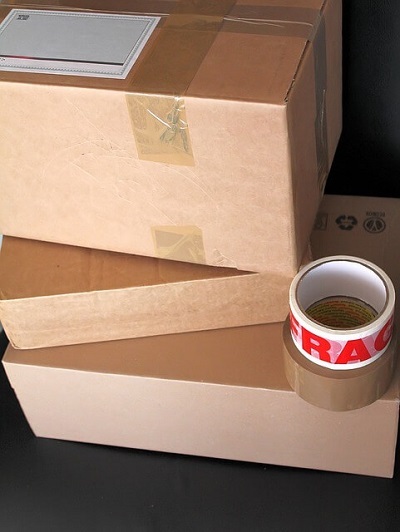 Packing with padded items will protect fragile stuff from breaking and will again save you space. Sheets, towels, pillowcases, dishcloths – anything that is made of soft fabric will do the work. Extra padding. If by any chance you have some paper plates in the house put them in between your ceramic or glass plates. This will prevent unwanted cracks and scratches. Plastic bags. They can be used both for containing items and for padding inside the moving boxes. Wrapping them around bottles with liquid (shampoo, shower gel, dishwashing or any other cleaning detergent) will prevent any spillage that may occur while your house movers are driving to Bournemouth. Leave your clothes on the hangers. Get a few bigger bin bags and put them over the clothes, tie them at the top and you’re ready to go. Avoid unpacking wrinkled garments and having to iron everything when you move to your new place. Do not fold, roll. This is another way of saving up space and avoiding wrinkled clothes. Labels. Grab a marker, preferably black or blue (something visible) and label all boxes. Write the name of the room to which they belong on the top side and list the items on any of the side of the boxes. This will make the unpacking easier and will also be helpful to your Bournemouth house removals company. The specialists will leave the boxes in the right places without continuously asking you where to put this and that. Essentials’ bag and valuables. This is really important because for at least a few days your new house will be a mess. Pack a bag with essentials, as if you are going on holiday. Take the things you’ll need the most so you won’t be going through unpacked boxes to find a toothbrush, for example. As for the valuables, they have to be kept in a safe place, and taking them with you in the essentials bag would be the best choice.